Brandon describes how he motorized the Mini Cooper. I built the LEGO®, MINI Cooper model #10242 kit, then I had to take it apart and redesign it a little to mototize it, because I needed to fit the LEGO® Power Functions (PF) into the car. 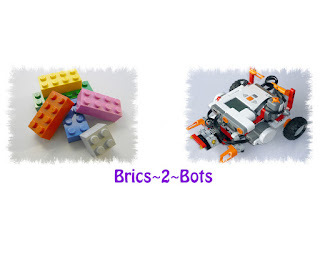 The LEGO® Power Functions parts included one M-Motor, one IR Receiver, one IR-TX Remote, and a rechargeable battery box. I had to raise the base of the car to accommodate the motor and the wheels. Then I replaced the back seats with a PF rechargeable battery box and also replaced the engine block with a PF IR receiver. The car was too small to fit two motors in it, so I put the differential gear under the car and for the motor to power the drive wheels with a long axle. With just one motor the car can only move forward and backward. Luc designed the Ferrai. I used both the LEGO Racers #8652 – ENZO FERRARI and the LEGO Racers #8671 – FERRARI 430 SPIDER models, to create a motorized LEGO Ferrari design. To do this I had to add two Power Function M-Motors, an Infrared Sensor, and a Battery Box to the car. On one side I use gears, so the motors will go in the same way. By using two motors the car would be able to turn. To move the car I used the Power Function remote.